The holidays are back and it’s time to spice up your beverages! That includes your regular cup of joe. Wondering how to do this? Fear not. 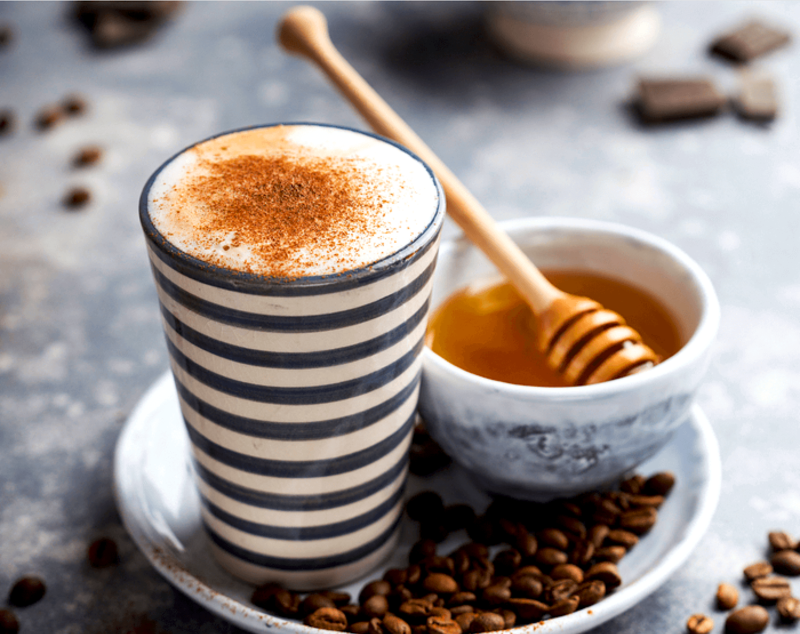 From Moccocan spiced coffee to cinnamon brews, we have the best recipes for you to put the kick back into your caffeine hit. This is a tasty coffee makeover that adds fragrance to your brew. The trick is to add powdered cinnamon to the coffee grounds before you start brewing. The end result is a warm spicy drink that will kickstart your morning. For a 6-9 cup serving: 1/2 teaspoon ground cinnamon will do. For a pour-over coffee: About 1/4 teaspoon ground cinnamon for every 16 ounces of water. Mix the spice into the coffee grounds in the filter. For a more aromatic brew you can also add a little nutmeg into the brew; mix the nutmeg grounds and cinnamon in the ratio 1:1. Add sugar or cream and adjust to taste. A more exotic taste can also be achieved by substituting cinnamon with ginger grounds. You can also experiment with a mixture of cardamom and ground ginger for a more herbal taste. Vanilla is one of the easiest spices to come by. 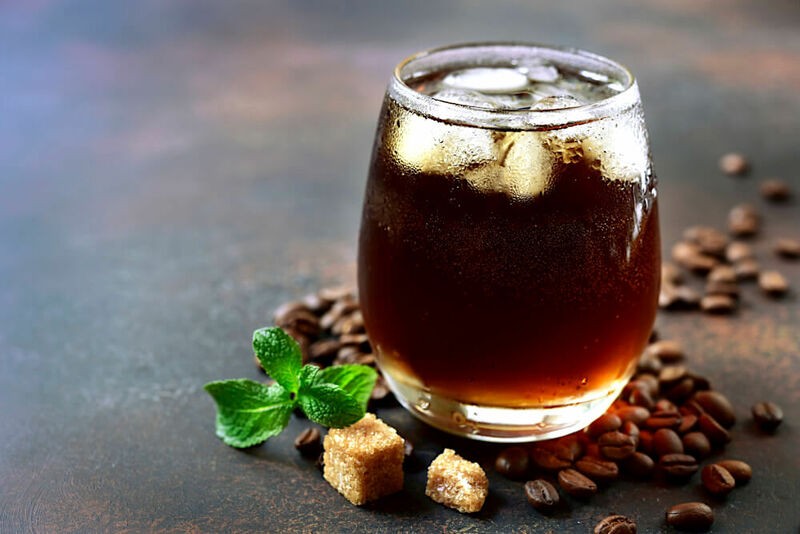 With a little know-how you can turn your coffee into flavored drinks using these beans. Vanilla extracts will do for either hot or cold coffee; it can also come in handy when brewing your own cappuccino or latte. The trick here is to dissolve vanilla (extract and the insides) in your sweeter before adding it to your coffee. Split the bean long-ways and pour out the insides, scrape off to get every ounce of the creamy spice. Place the scrapped vanilla insides in a pan, add sugar and water. Heat the mixture over medium heat, stirring until the sugar is completely dissolved or turned into thick slurry. Remove the creamy mixture from heat and add the vanilla extract to enhance the taste. Let the mixture cool down completely. Use a fine sieve to remove the beans’ fragments as you transfer the slurry into a serving (pourable) container. Use the extract to your taste whenever you need to sweeten your coffee. Mint will not only flavor your drink but it will also leave your kitchen with a sweet, fresh fragrance. This delightful recipe calls for a herbal mint of your choosing. We recommend sprig leaves which are known to be highly concentrated with the minty aroma. Heat the water to boil and add sugar, stirring until the sugar dissolves. Add the leaves and let them steep in the mixture as it cool down. To get all the flavor by ensuring the leaves are completely submerged. After 3-5 hours, remove the leaves and store the liquid in a lidded container. Pour to taste whenever you crave a cup of coffee. The mixture is good for up to a week if kept cold in a fridge. 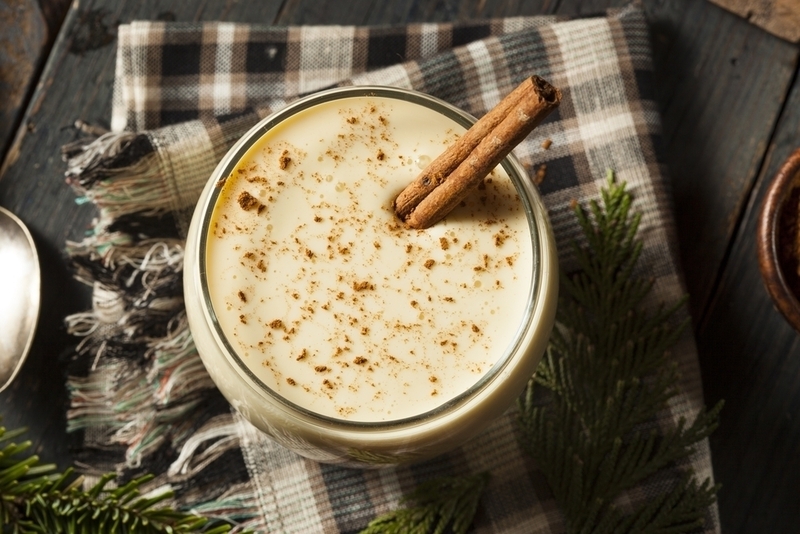 Adding eggnog in your coffee will add a little over 100 calories to your drink, but the taste is well worth it. Take a cup of this creamy delight in the morning; this will do for most of your energy needs during the rest of the day. Add a pinch of nutmeg if you desire. Pour in a cup of black coffee and you are ready to go. A touch of African coffee could be the warming up your body needs this holiday. This Moroccan brew ups your coffee’s flavor by adding a bit of peppery taste. Yes, that’s right… ground black pepper corns can be added to beverages. The brew is made spicier by adding freshly ground cardamom, cloves and cinnamon into the mix. Mix the freshly ground pepper, cardamom ginger, cloves and coffee beans in a blender. Whirl the mixture until it’s finely ground. Boil 4-5 cups of water. Pour milk in a saucepan and heat it but don’t let it boil. Pour the coffee plus spice mixture into the filter and pour the boiling water over it to extract the different flavors. Continue adding the water slowly allowing it to drip through the coffee grounds. When using a French press: pour the coffee plus spice mixture into the press pot. Pour in the boiling water and let the mixture steep for about 5 minutes. Bring the plunger down and serve. Add milk and sugar or cream as per your desire. A cup of white coffee can be made more enjoyable by adding a few simple spices. The recipe for this requires a one-time serving for a small gathering. Think of this recipe as a better alternative to chocolate flavored coffee. Pour the cream in a serving container and let your guest add it to their cups of black coffee. The mixture will not last even when put in a refrigerator; serve all of it in one sitting. Not everybody is up for milk; if you’re lactose intolerance or if you simply enjoy animal products, almond milk will do for a cup of creamy coffee. While you are it why not spice it up with a few ground flavors. Bring out the holiday cheer by making some fruit-spiced coffee. Orange marmalade in particular will add a citric-taste and sweet aroma to your brew. So the next time you are at the farmers’ market, be sure to pick up a few ripe oranges ready for marmalade coffee. Add some spices to your shopping list and let the holidays come to life. Mix the ground cloves, cinnamon and coffee and place them in your coffee filter. Add the marmalade into the coffee in it semisolid form. Add water and let the mixture brew as per instructions. By combining several spices you can create a magical latte. In addition to sugar, add a little honey to your coffee. Honey is packed with amino acids and several other minerals that are extremely beneficial for your metabolism. If you have a sweet tooth you can add some molasses; this will also give the brew a richer texture and add on flavor. Mix the spices, sugar, honey, milk and molasses in a saucepan. Cook the mixture over medium heat while stirring for consistency (Do not let it boil). Remove from heat and blend the mixture for a few seconds until it’s foamy. Add the ground coffee to 5 cups of water in your coffee maker and brew as per the manufacturer’s instructions. Pour the coffee brew into five cups and divide the spicy mixture among them. If whipped cream is your thing, use it to garnish this homemade latte. This is one of those brews that can be quite expensive at your local cafe. So instead of spending precious dollars over just a single cup, consider buying a few spices to brew a serving worth at least 5 cups. Mix the sugar, milk, cocoa, and vanilla in a saucepan. Cook the slurry in medium heat for about 7 minutes. Stir occasionally to ensure the granules and milk get to blend completely. Mix coffee and ground cinnamon in your coffee filter and 4 to 5 cups of water. Brew the mixture according to your liking or the manufacturer’s instructions. 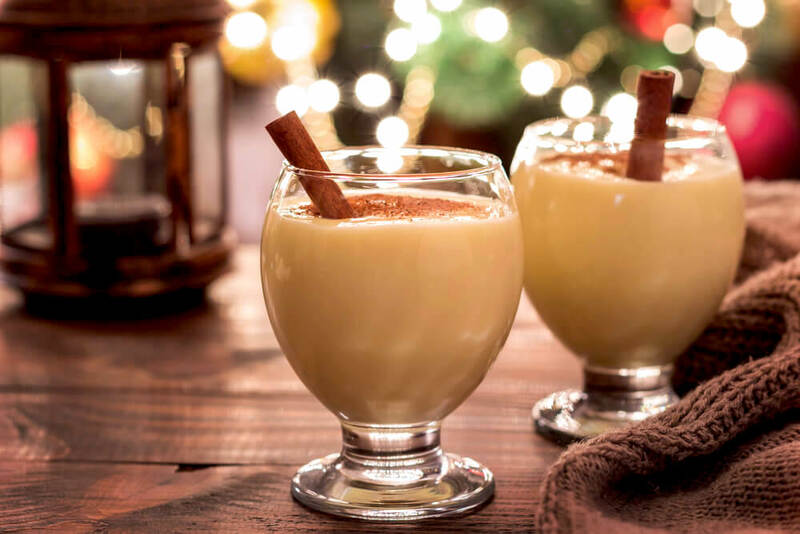 Thia drink can be garnished with whipped cream or with a few cinnamon sticks. Make patterns on your latte; this is a fun way of getting people into the holiday mood. If a barista can do it, why not you? It takes time for hot coffee to cool down, so when you are pressed for time, just make a ‘cold power’ brew. Use ‘Robusta’ coffee when going for maximum caffeine brews – ‘Arabica’ packs about half the caffeine levels of the former. Keep the flavors in by storing your coffee in airtight container. When using ‘drip’ to make coffee, first run hot water through the coffeemaker to heat it up before you start brewing- this makes the end result more desirable. Prefer French press over drip coffee when you want a strong brew. You can make your coffee time more memorable by adopting the above recipes. These are coffee brewing methods that are meant to make your drink spicy, strong and flavored. Some of the spices that will help you in this include cinnamon, cardamom, ginger, cloves, peppercorn, cocoa and nutmeg. To enhance the taste of your brew, you can go with natural sweeteners such as honey and molasses. If minty is how you like your cup then try freshly ground green sprig leaves and to cap it all, consider making your coffee fruity by adding some orange marmalade. Thank you, for the great ideas. Looking forward to giving many of them a try. Happy Holidays.